Thank you for all of your great battle action movies made with iClone. It's really good timing to watch these exciting hit films during summer! There are so many wonderful submissions with limited awards, so we have decided to have two winners in some of the categories. 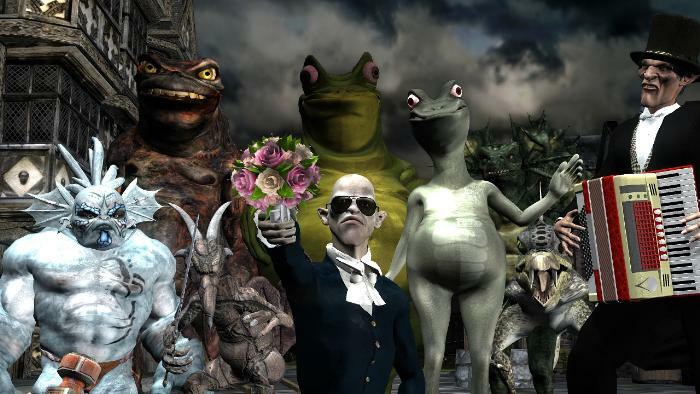 In this film, Norte combined highly-detailed characters from Mr. Necturus along with dragons from Dexsoft to present a medieval fantasy battle between humans and creatures. Nicely done! Title: Surana - Blood for the Gods. This film reminds us of classic, epic scenes in movies like “300” and “Gladiator”. The female warrior's battle animation is so powerful that we can almost feel her pain! We really hope to see a full movie in the future. Video Title: Fight Girl, fight!!! It's another female fighting epic! We especially like the camera technique in this film, which makes the fighting scenes more cinematic! Great job!! Although this video is a tribute, the battle scenes have been performed so well that they represent the power and agility of Kung Fu fighting. A knight versus 3 fighting dogs? How will this battle begin, and end? This is the most unfair and hilarious battle we've ever seen! The characters' design in this film is absolutely comical! A character with a propeller head? Where did you think up this idea Biggs Trek? Don't miss how this propeller head gets finished by the “Iron Woman”. That ending scene really made our day! Every time when we see Mr. Pinhead, we know something funny is going to happen. There are so many stylish creatures in this battle animation movie. We especially love the ones combined with horns and ears from the Monster Workshop! Congratulations to all the winners, and we'll send you the Toon Maker 2 as the prize when it is released! Yippee! Congratulations to everyone involved! Awesome! Gratz to all the winners. All the entries were winners. Way to go folks!!! Hugh congrats to all the winners!!! Congrats to all the winners, You recognition was well-earned. And one more note of appreciation to ALL the participants. Some really fantastic videos there - congratulations! As a fair sportsman I say: ..